Hello; thank you for visiting Jack the Ripper's Asylum! If you woud like to join in on the discussions or are new to the case, why not sign up? We would love to hear your opinion! Welcome to Jack the Ripper's Asylum! 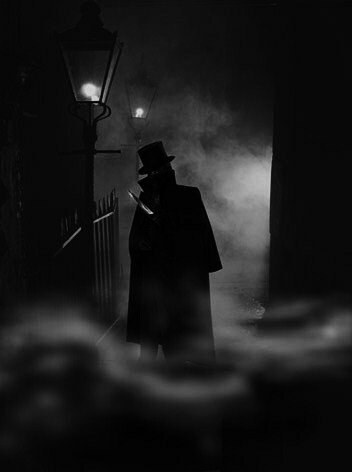 In the Autumn of 1888 five prostitutes in an area known as Whitechapel became victims of the killer we now call Jack the Ripper. This is Saucy Jacky's unofficial playground... Check out the discussions, chats, fun and games with like-minded inmates in an attempt to get into the mind and place of Britain's most notorius serial killer... Ha ha. Catch us if you can Mr. Lusk. Eight little whores, with no hope of heaven, Gladstone may save one, then there'll be seven. Seven little whores beggin for a shilling, One stays in Henage Court, then there's a killing. Six little whores, glad to be alive, One sidles up to Jack, then there are five. Four and whore rhyme aright, So do three and me, I'll set the town alight Ere there are two. Two little whores, shivering with fright, Seek a cosy doorway in the middle of the night. Jack's knife flashes, then there's but one, And the last one's the ripest for Jack's idea of fun. Welcome to Jack the Ripper's Asylum! THE unofficial fan base for all Ripperologists!